It's Our Blogiversary! 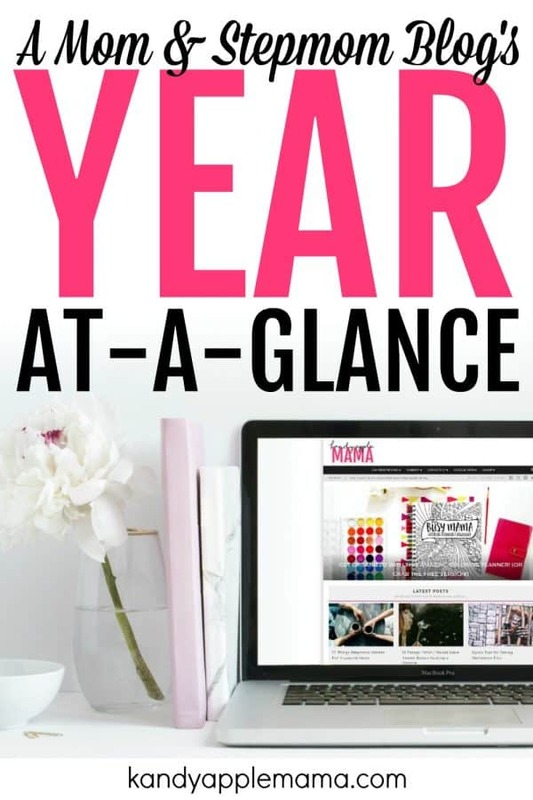 A Mom & Stepmom Blog's Year At A Glance! When this blog first started a year ago on October 14th, 2016, I had no idea how far it would come. I was excited for the future, hopeful about its potential, but completely oblivious to how much it would help my family and those like it. 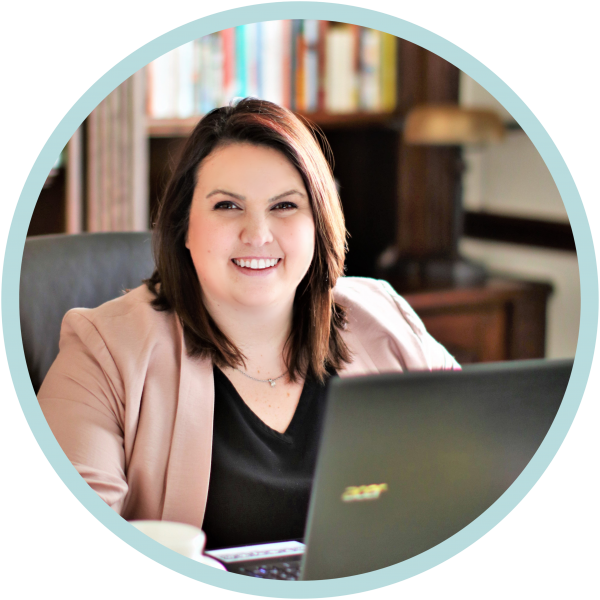 When Kristen joined the team, the potential grew exponentially. Over time, the virtual babe cave transformed into the helpful, inspirational resource it is today. Neither of us had any idea just how promising this business would turn out to be, and we are both unbelievably grateful for the opportunity to help women navigate motherhood, life after divorce, stepparenting, and life in general. Around the same time the blog went live, our families were just starting to get on each other’s good sides. Kevin and I were negotiating a new custody order, Kristen and I were just starting to get to know each other, and things looked promising. After two years of not being able to be in the same room, we began developing our co-parenting relationship, which would ultimately transform into a friendship. Kristen: I still remember the day it really changed for me. One week when Kevin was away at Air National Guard, we were transferring K from Mom’s house to Dad’s house on a Saturday evening. It was the first month after I moved in with Kevin and K, I had to arrange pickup from Mom (Amanda). We planned to meet in the Walmart parking lot, and then I was going to take K to a play place to hang out for a couple of hours before heading back to the house for our first night as Stepmom and Daughter. I braced myself for the worst as she approached. We hadn’t exchanged but mere pleasantries at that point. Surely she’d be uncomfortable with me picking K up – jealous that I was spending time with her daughter instead of her. If Dad couldn’t, surely she should be, right? But to my amazement, not only was Amanda not hostile or jealous, she was intentional about getting K excited to go with me. She even said “You’re going to have so much fun! Kristen has a fun surprise planned for you!” She was so gracious, friendly, and cooperative. Amanda: It actually was really hard for me to overcome that primal, territorial feeling you have as a mother. Your first thought when someone else comes in the picture as a mother figure is “No way! That’s my daughter!” And watching you or hearing how you essentially were “Mom” at her dad’s house was really hard for me to get past. It definitely took time. Kristen: She might have been cautious about forming a relationship with me, but at that moment, it looked so natural. She didn’t look uncomfortable or jealous; she appeared completely calm and collected. I’m not sure how she managed those feelings. I can’t even imagine being in her shoes. Amanda: As a mother, I took a step back and looked at K and thought – I can’t let this be so hard on her. I don’t want this (the divorce) to ruin her childhood. She deserves to have the best chance I can give her at having a happy, positive childhood. Removing the conflict and the having to choose between mom and stepmom was at the top of my list. I resolved to do my best at showing K I accepted her stepmom into her life, that she didn’t have to choose, that she could love us both and have fun with us both. Kristen: I think the big turning point for us was after my women’s retreat last October. K had overheard my story of God working in my life, especially helping me accept my role as a stepmom and second wife, and she really pushed me to tell Amanda all about it when I went to pick her up that next weekend. It was wildly uncomfortable sharing my most personal moments with someone I’d been so jealous of, expressing those feelings and others to her. But it helped us tremendously. I even asked if I could hug her after we talked. Amanda: She did! I was all teary eyed… When Kristen began opening up to me about her challenges with being labeled a “second wife”, it was like a wall came down. My eyes were suddenly open to the fact that she had a whole other realm of hurdles she was facing, herself. My greatest obstacle was learning to share K with another woman, but she had so many other things to think about. Kristen: It opened my eyes, too! I had been so caught up in my own struggles and my own perspective I couldn’t even imagine her side of things. I didn’t realize that before the divorce she had been a stay-at-home mom that spent every waking moment with K, and now she’s sharing custody – not just with someone she chose (Kevin) but with someone she doesn’t know or didn’t have any say over (me). What a scary, vulnerable position to be in. I wanted to do anything I could to put her mind at ease that I was a good person and truly just wanted what was best for her daughter. Amanda: She (Kristen) began sending me snaps of K while they were out doing fun things, and I loved it. It put me at ease seeing her so happy doing so many fun things, even though I wasn’t there to do it with her. Kristen: I think that really helped us connect between pick up and drop offs. We could bond over some of those daily things or special moments captured in the photos – like your engagement! I’m so glad today that I was able to wish you a happy engagement back then, before we were as close as we are today. Things were gradual for us–natural–they definitely didn’t happen overnight. I think we were both cautiously optimistic about our friendship. Kristen: Before she could, I asked if she ever considered bringing on a business partner. I didn’t know blogging, but I knew business! At the time, I had no idea what I was getting into and I’m not sure why I didn’t even have to think twice about offering to work with my co-parent, but I didn’t. I asked my husband before I asked, of course, and he was supportive from Day 1. Amanda and I met up that very night and got to work. Amanda: Then it just took off from there. We started exploring different topics we enjoyed talking about, and co-parenting really took hold. It’s actually really helped us in our own co-parenting dynamic. Working on the blog together, doing the research, speaking with so many families in similar situations… It drives home how important co-parenting is to us. Kristen: I grew up in a broken home, and it is so important to me that K never feel her home is “broken.” I don’t want her to grow up thinking she has to choose between Mom, Dad, Stepmom, or Stepdad. I want it to be natural to her that she has two homes and twice the love. I don’t want her to be stuck in the middle or ever discouraged that her parents divorced. I’m extraordinarily thankful for my friendship with Amanda, the co-parenting relationship we have, and this exciting, evolving business we get to lead every single day. Amanda: I firmly believe that if Kristen hadn’t partnered with me on the blog, this business wouldn’t be where it’s at today. Hell, I would have probably quit by now. We hold each other accountable, and more importantly – build each other up when we’re feeling down and keep each other on track. It just makes me so thankful to have her not only as K’s stepmom, but as my best friend and business partner. Navigating motherhood is difficult, and when you’re a single parent you need all the help and advice you can get. Putting together this resource post for all the single moms out there really meant a lot to me. It’s long, but informative. So many stepmoms feel lost, confused, and misunderstood, and this piece has helped so many women accept their role in this crazy blended family life. Life is what we make of it, and a simple change of perspective can make all the difference. We can’t believe these are not more popular. They’re definitely on our top ten, and people should be reading them! First FB Live: August 30th, talking about our partnership – with Jamie Scrimgeour! Our Favorite Social Media: Instagram! Although we’re more popular on Facebook. Hit 100,000 pageviews per month. Increase our mailing list to 5,000+. Write (or at least start writing) a book. Improve our social media presence. Inspire others to give co-parenting one more try. Thank you to all of our readers who have supported us over the past year! We can tell this is only the beginning. This is amazing! Love how you were a bale to grow your blog! Wow. 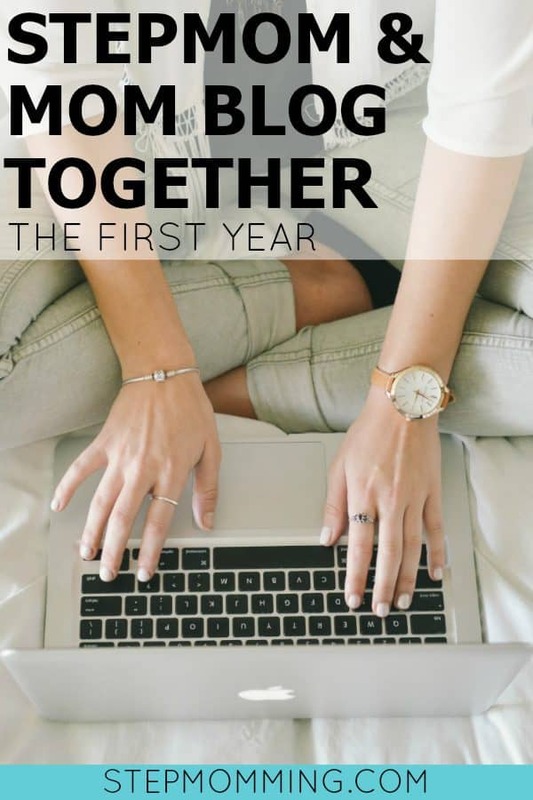 What an amazing concept for a blog, and even more amazing how you both have worked together, despite everything, to make it such a success and a great resource for parents that are in similar positions! I am so happy to see a great story behind a a coparenting family. You ladies are such an exemplary team! Congrats on your 1 year anniversary! It is great that you have made a hard situation so beautiful.